Hello Friends Aaj hum Facebook ki Trick Batane wale Jisase aap apni Facebook Id Par Unlimited Auto Friend Request Pa sakte hai. Facebook Par auto friend Request pane ke kayi saare fayde hai. jaise ki aapke friends increase ho jayege. apke Facebook follower bhi increase ho jayege.facebook ki kuch term or condition bhi hai. jaise ki Agar aapki fb id me 1000 friend request aa jati hai to uske baad request aana band ho jayegi. or apke follower increase hona start ho jayege. Aaj Ki Trick Hai How To Get Unlimited auto Friend Request on Facebook. Ye to aap sabhi jante hai ki facebook ke users daily badate jaa rhe hai. or sath hi sath popular bhi hota ja rha hai. esi bich kuch aisi Trick bhi aati hai jisase aap apne account ko famous bna sakte hai. Humne Facebook par or bhi bahut saare acticle likhe hai jinhe aap yha read kar sakte hai. jo ki bahut helpfull hai. Auto Friend request karne ke liye aapko wefbee name ki website par jana hai or wha se request send karni hai. Wefbee bahut acchi website se aap yha se apne facebok page par autolike kar sakte hai. Auto Follower Pa sakte hai. Group post kar sakte hai or bhi bahut saare features hai. Acche se samjne ke liye Bataye Gye Steps ko follow kijiye. 2. Facebook V.I.P Comment Enable kaise kare. 3. Facebook All Messages Delete Kaise kare One Click Me. Aap Wefbee Website Se Aap Apne FB Account Me Auto Friends Request Bej Sakte Hai. Step by Step Read kare. STEP:-1 Sabse Pahle Apna Facebook Account Login kare. Kisi Bhi Browser Me. 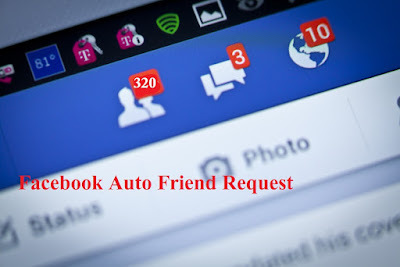 STEP:-3 Ab Aap Wefbee website me Auto Friend Request par Click kare. STEP:-4 Ab NEw Page Open Hoga Usme aap Click Here Option Par click kare. STEP:-5 Aab Diye Gye Box Me apna Facebook Id or Password Daal ke submit par click kare. STEP:-6 Submit par click karne ke baad apko Token Milega us Token Ko Copy karke. wefbee ke homepage par paste karke login par click kar dena hai. STEP:-7 Ab aap Use Auto Request wale Option par click kare. STEP:-8 Ab Aap I’M Not A Robot par Click Karke, Send Auto Friend Request To Me click karde. Done….. Pura Process Complete Ho Chuka Hai. Ab aap Apna facebook account check kar sakte hai apke pass request aa chuki hogi. Unlimited Request Paane ke liye bataye Gye Steps ko Baar Baar follow Kijiye. 2. Facebook All Friend Request Accept Kaise kare Ek sath. Final Word – Friend AAp bataye Gye Steps Se facebook par auto Friend Request Paa Sakte Hai. Aapko Humari ye Post Pasand aayi hai to ese share jarur kare. or haan yaad rhe hai ki unlimited time try karte waqt 10-10 min ka space de jisas aapka fb account secure rhe hai. so thanks for reading. Facebook Account Delete Kaise Kare Permanently – Digital Hindi Club.